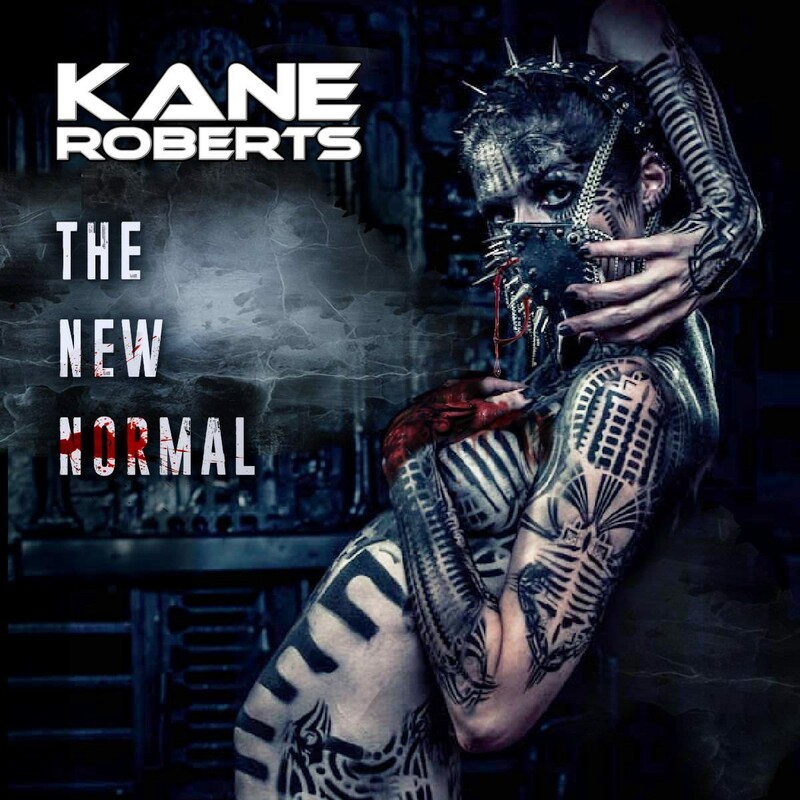 Kane Roberts is back with a new solo album, “The New Normal,” which will be released on January 25, 2019. Today, the first taste of music has been released from the album in the form of the track, “Forever Out Of Place.” The song can be heard HERE. “I noticed artists that were busting down doors and at the same time kickstarting new ways of thinking about life and creativity. I knew I wanted to try to work with some of them. Nita Strauss is a killer guitarist. She tore it up on the song “King Of The World.” Her work on it woke me the f*** up and forced me to explore new guitar techniques to compliment her insane skills! Alice Cooper….no one individual has scorched the earth like my former boss. I started getting into recording “Beginning Of The End” and realized I needed Alice to sing a duet with me. Not just a line, not just an intro, but sing throughout the song. I took the shot that he might be available at some point to get involved and when I called, he said “I’m in Hollywood. I’ll be right over.” Full on the stroke of luck. My approach to much of the album was cinematic in the hope that sounds and lyrics would create imagery and emotion beyond what I had done before. Keeping with that idea, I had Alissa White-Gluz (Arch Enemy) fall from the sky like some pissed off dark angel in the middle of the song with Alice and I and burn the place down. Her attitude and singing prowess is stunning, and I was so jazzed when she agreed to participate. I was obsessed with getting drum monster Aoyama Hideki from Baby Metal. After he heard the song, he immediately came on board and played with a controlled fury as only he can…AMAZING! I also was also able to work with Brent Smith (Shinedown) and Lzzy Hale (Halestorm) on songwriting, and they were, of course, a blessing to the entire process. Upon hearing a few of the early recordings, Michael Alago (the A&R guy that discovered Metallica and White Zombie, to name just a few) offered to executive produce the project for me and got a lot of things done for that otherwise would have been impossible for me to accomplish. “My music has evolved over the years, even though I was out of the spotlight. Stepping into this new project, there are new styles and sounds evident, but I haven’t made some false effort to distance myself from the past. People will notice a blend of influences from classic rock and metal to the hot bands that are emerging more recently,” says Roberts. Of the many iconic images of ’80s rock ‘n roll, one that has certainly stood the test of time is Alice Cooper’s then “Rambo-looking” guitar player shooting fire from his M-80 shaped guitar. That guitar player is none other than Kane Roberts, an accomplished musician, and singer who, after leaving Cooper’s band, went on to record a total of four solo albums (including the “Phoenix Down” project released by Frontiers Records in the late ’90s). Kane‘s name and musical abilities first came to prominence on Alice Cooper’s “Constrictor” and “Raise Your Fist And Yell” albums. The tours and popular videos for each made Kane a well-known face in the scene, especially for his outstanding guitar skills, but also for his body-builder image and his iconic machine-gun guitar. As a solo recording artist, he landed some Top 40 hits, and his varied musical background includes recording, writing and touring with artists such as Rod Stewart, Desmond Child, KISS, Diane Warren, Alice in Chains, Berlin, Guns N’ Roses, Garland Jeffries, and more. He’s also written or recorded music for films like Light Sleeper, Penelope Spheeris’ Decline of Western Civilization, Friday the 13th IV: Jason Lives, John Carpenter’s Prince of Darkness, and more. In 1991, his second solo album for Geffen Records, “Saints and Sinners” was released and included the Top 40 Billboard hit “Does Anybody Really Fall In Love Anymore?”, originally written by Jon Bon Jovi and Richie Sambora. Next Next post: Metal’s Best: Top 30 Guitarists Ruling the Genre!